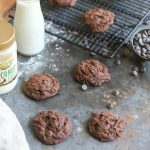 I have an easy recipe for you today–one so simple that I’m sure you already have the ingredients in your pantry…well you might have to pick up a box of instant pudding, but it’s the key to making these cookies amazingly soft and chewy. 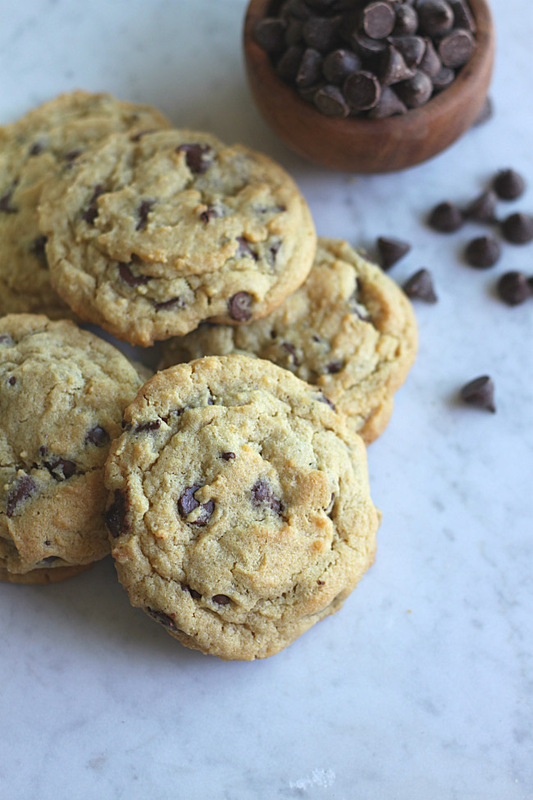 These soft and chewy chocolate chip cookies should be a staple in everyone’s cookie arsenal. They’re a favorite at our house and I’m sure they’ll be a hit at yours too. Springtime is a time for easy baking. 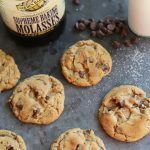 You don’t want to be slaving away in your kitchen half the day when the weather is gorgeous outside, so these cookies are the perfect treat to whip up at a moment’s notice. 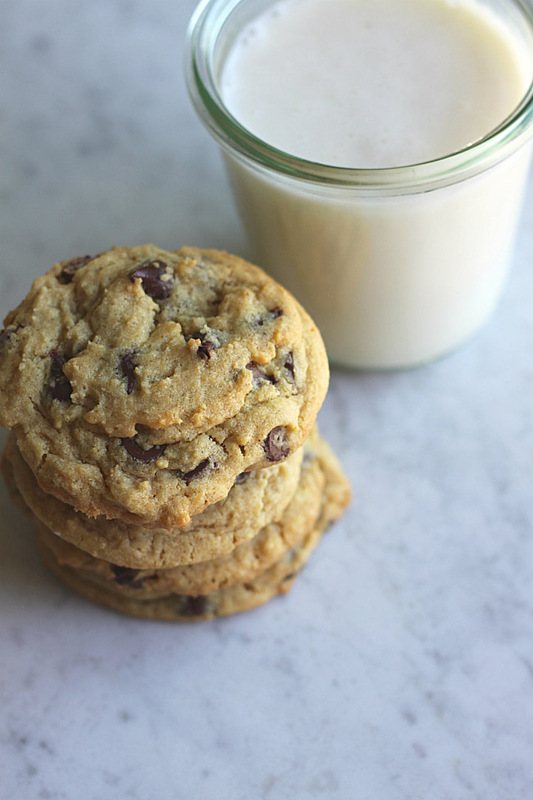 The instant pudding mix in the batter is the secret to making these soft and chewy cookies. Using good quality, fresh ingredients may seem like a no-brainer, but it’s so important! It takes your baking from good to amazing. 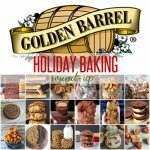 I used Golden Barrel’s organic brown sugar and organic cane sugar in these cookies. You can taste the freshness! 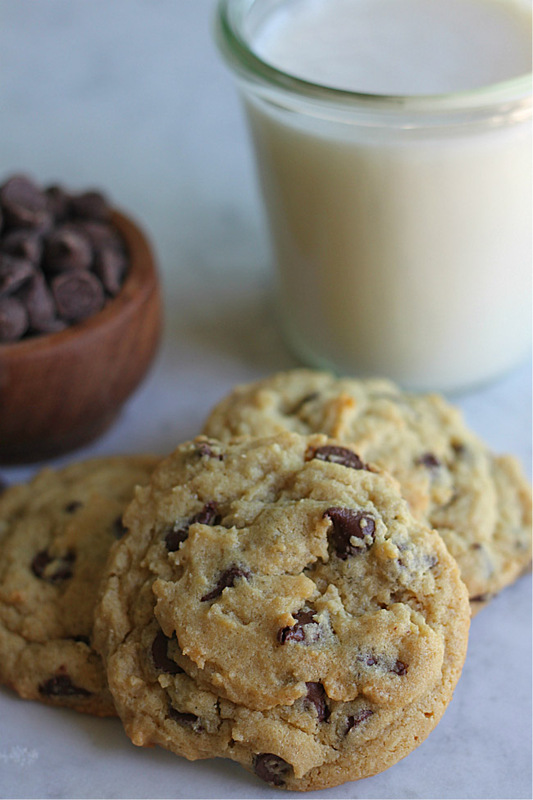 I also always buy Ghirardelli chocolate chips–to me, they’re the best. So, spring for good quality ingredients and it’s sure to bump up your baking game. 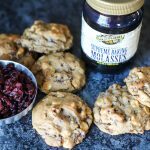 The inspiration behind these cookies came from a local market right down the road from my house. Eby’s Store is a landmark in the tiny town of Martindale, PA. On one of my recent trips into Eby’s, I picked up a package of their homemade chocolate chip cookies. They looked so amazing taunting me while in the checkout line. And sure enough, they were amazing! I decided to try my hand at my own version of those chocolate chip cookies. I thought for sure they used vanilla pudding mix in their recipe, but after talking with one of the employees (who promptly ran into the back to ask about the recipe), they don’t. So, perhaps there’s corn starch or something similar in them that makes their cookies soft and chewy. Who knows. But this version is just as yummy. 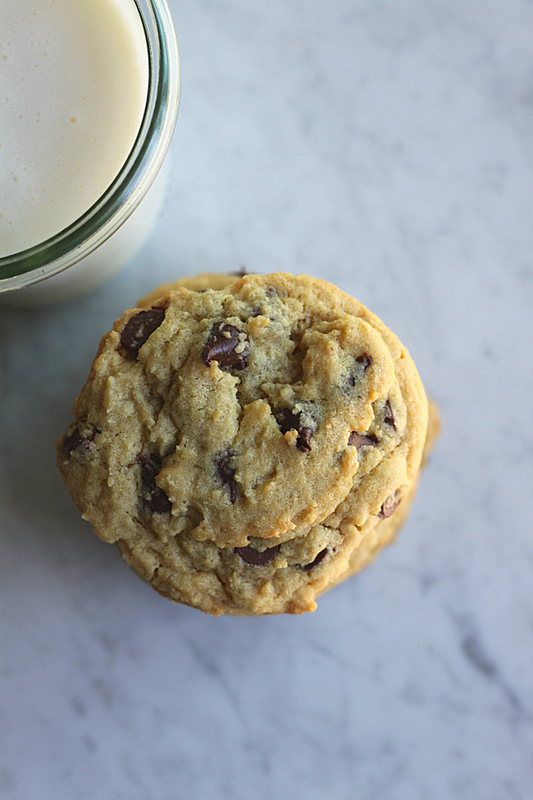 So if you don’t have access to a tiny general store in Lancaster County, give this recipe a try! They’re the perfect treat for a springtime day. Try them today! 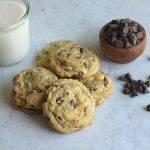 By adding a package of vanilla pudding mix to the batter, this insures the soft and chewy texture of these delicious chocolate chip cookies. Preheat oven to 375 degrees. Cream together butter and sugars until light and fluffy, about 3 minutes. In separate bowl, measure out flour, baking soda, and salt and mix together with whisk. Set aside. Add eggs and vanilla to butter mixture and beat for another 2 minutes. Add vanilla pudding mix. Reduce speed of mixer and gradually add in dry ingredients until just combined. Stir in chocolate chips. 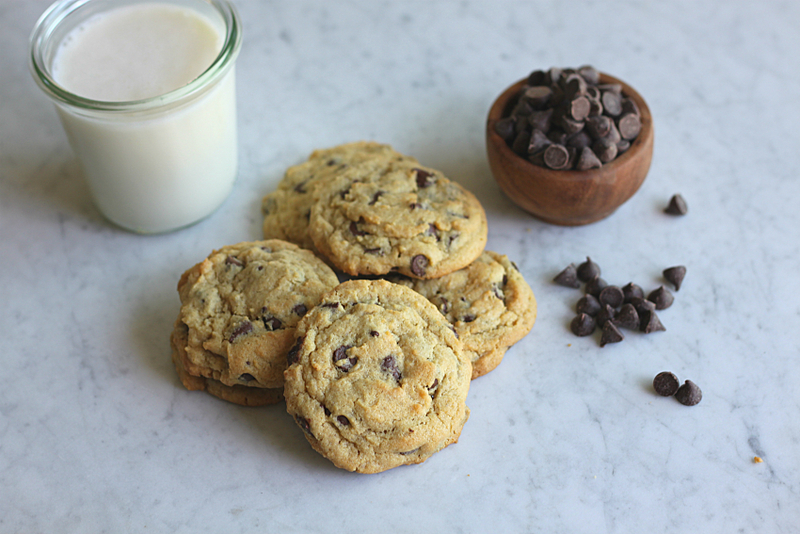 With cookie scoop, drop batter onto ungreased cookie sheets. Bake 9-10 minutes or until lightly golden brown around edges and tops. Cool on cookie sheet for 10 minutes before transferring to a wire rack to cool completely. Store in airtight container to keep cookies soft and chewy. I just baked them last Monday and my family love them. Thank you for sharing.